See God’s creation like you never have before! 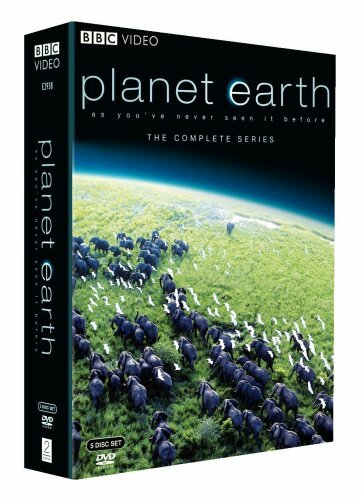 Today only, or while supplies last, you can get Planet Earth: The Complete BBC Series DVD for only $16.99 at Amazon. The Planet Earth: The Complete BBC Series Blu-ray is also on sale for $17.49 (reg. $99.99). The 11-part series shot entirely in high-definition includes: From Pole to Pole, Mountains, Fresh Water, Caves, Deserts, Ice Worlds, Great Plains, Jungles, Shallow Seas, Seasonal Forests, Ocean Deep. The series has a run time of 550 minutes. There are some references to evolution. Click here to see the full details on the Planet Earth: The Complete BBC Series deal!